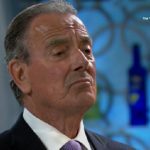 Young and the Restless spoilers show newcomer Kerry burst into Genoa City and quickly caught the eye of Mr. Abbott. As Jabot’s new chemist, Jack schmoozed Kerry in hopes of learning about what’s going on with the company. However, Jack soon developed feelings for Kerry and wanted to pursue a relationship. Kerry went on a few dates with Jack, however always blew him off before things got serious. Now, she seems to be pushing towards a relationship with Jack. Y&R fans have been against the pairing due to the huge age difference. Now, they may have another reason to dislike this couple. Rumor is that Kerry is a gold digger and is using Jack just for his money. This would explain Kerry’s sudden interest in becoming romantically involved with Jack. He’s already shown he’s infatuated with her and is willing to treat her like a queen, including taking a luxurious vacation. Having a taste of what being rich is like, Kerry could worm her way into becoming the next Mrs. Abbott. The question is how dangerous will her plan be. In previews for this week, a short clip showed Kerry pulling a syringe from her purse. This has led to speculation that she may be devising a plan to get Jack’s fortune, then kill him. Little is known about Kerry’s past except that she’s a world renowned chemist that Phyllis (Gina Tognoni) hired. Kerry hasn’t talked much about her personal life, so it’s hard to say what she was like before she came to Genoa City. 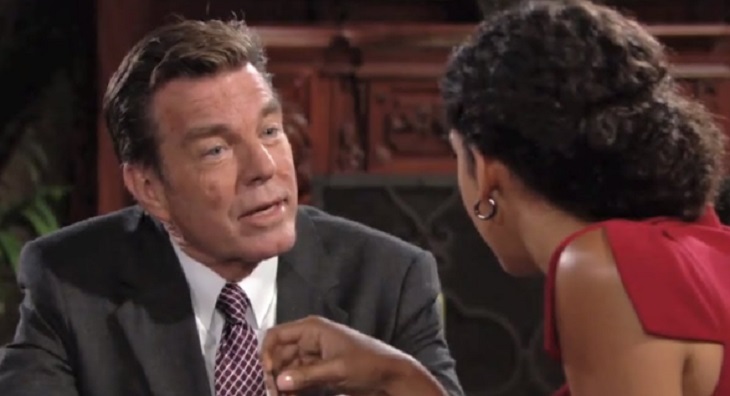 Young And The Restless Spoilers – Is Kerry Dangerous? As Jack continues to wine and dine Kerry, he may want to be careful. Kerry’s hiding a secret and in the end that could cost him his life. Do you think Kerry loves Jack? Or do you think she’s after his money and is plotting to murder him?